At A Little Light, we are all about building up trust over traffic. We could reach far and wide to appeal to the masses and have lots of pageviews with a really high bounce rate. Or we could look right in front of us, at who is sitting at our table ready to have a dinner party with us. This is where our engagement is, people who come to our sites, read our entire posts and come back again when there is something new. 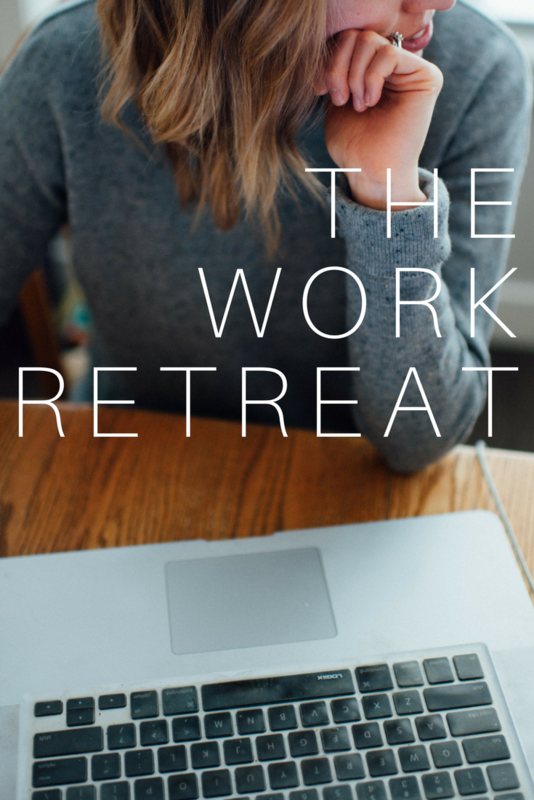 Your readers who come back, readers who like, readers who comment – those are your people. What makes them stay? How are you serving them and meeting their needs? What problems are you solving for them? What do they enjoy about your product/content/service that makes them want to stick around? 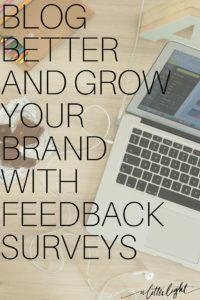 Not only will a feedback survey enable you to better serve your audience, it will also help your brand growth. Growing on this base of loyal customers will be one of the best investments you can make in sustainable, meaningful growth of your brand. Because when you have solved someone’s problem, or brought joy to them, or empowered them, or made them feel seen and cared about – they want to share that. They will tell people about you. They will share your work. They will give you the best possible marketing, peer-to-peer. When your friend recommends a product or site to you, that endorsement is taken seriously. No paid advertising can meet that level of referral. All of this makes sense, but how do move forward with it? We need to ask our readers/customers for their feedback. A few years back I did this on my personal site and I was blown away by what I learned. First of all, feedback from my readers showed me who was reading, what they enjoyed and what they struggled with. Most of all they took the time to describe how my words made them feel, and what qualities they saw in my writing. Most bloggers don’t get near enough feedback on the positives. This directed and intentional feedback brought me to tears because I had wondered so often if what I was writing was in a way that helped or entertained or empowered my audience. How to make a survey . . . The easiest way is to use an online survey program (like Survey Monkey, Google for Business, Wufoo). You could also email your readers with one or two simple questions you’d like them to ask. You could also hold a facebook polls, slowly over time. The best engagement often comes from allowing your readers to be anonymous and to making the process quick and effortless on their part. That is why a program like Survey Monkey is most often recommended. What to ask . . . 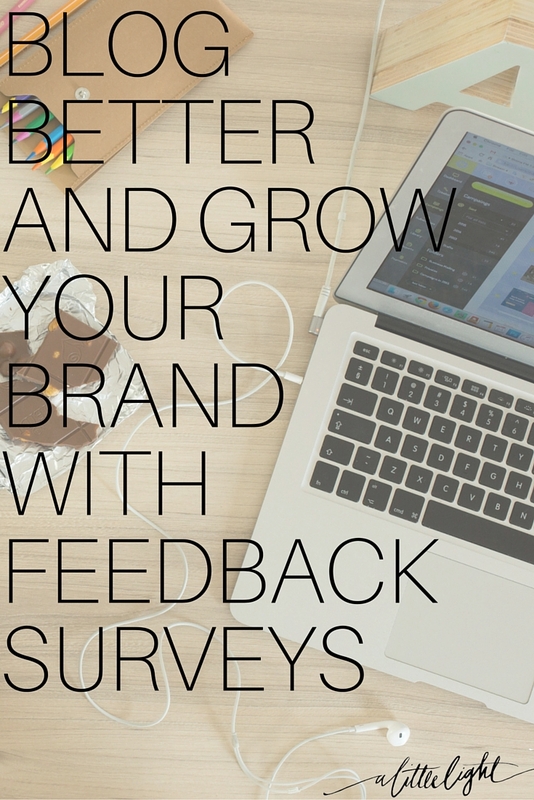 The success of your survey depends on the questions you ask. Where possible make it easy for them to answer quickly while trying to ask questions that draw out information that is useful for your directing your brand goals. Where they like to follow you online. This will help you know which social media platforms are most worth your time. Their life stage. If you are writing to moms, ask about their parenting status. If you are writing to photographers, ask them about their niche or experience level. This helps you better understand where you can empower your readers. Ask them outright, why they are a reader or a client. They way you make people feel is why they stick around, what are people feeling about you and your brand? Ask for more detail around the problems that you can offer solutions to. If you are a fashion blogger ask them about their struggles in style or shopping. If you are a food blogger, ask what hurdles they face in the kitchen. Ask them about their goals. If you are a photography blogger, ask them what is one thing they want to learn this year. If you are a mom blogger ask them what kinds of parenting goals they have this year. Use this feedback to write posts that will support them in this process. If you can view your reader demographics in Google Analytics (view ‘demographics’, ‘interests’ and ‘geo’ under ‘audience’) then I would skip adding in these types of questions in your survey. How to promote it . . .
Once you make your survey you need people to fill it out. Promote it in your emails, on your social media, in a blog post. Here is the key though, promote it often and at different times of the day to catch your readers who are online at different times and on different platforms. When you promote it let them know what to expect (ten simple questions). Tell them how it will benefit them (you want to give them a voice, you want to know who they are, you want to know how you can better serve them). Where to find it (share links, have a page or button on your site, or embed the survey). You may also wish to offer an incentive such as a contest draw to all survey respondents. If you do offer an incentive, don’t publicize this widely across social media as you might attract non-readers who simply want to enter the giveaway. The best way to promote it is on your email list because this is where you will find your most loyal audience members. What to do with the results . . . .
Summarize them in a blog post or email. This will help you to work out the responses and make sense of them. It will also include your readers in the results and make them feel like they were part of an important process. Plan your content/products. Use the feedback for blog post ideas, or to move forward with product/event ideas. Let your audience know where you are producing something that was based on their feedback, this will increase their involvement in the product/content. Share the content they asked for. If you have written a blog post on a topic your readers said they struggle with, then spruce up that post and re-promote it to them. Clarify your target market. You can’t be everything to everyone, knowing your target audience makes you a more magnetic brand. What have you learned about your current audience from this survey? Who are they, what do they struggle with, what are they interested in? Use this to better clarify your target market. View your website from their point of view. Your readers have highlighted your strengths and your best content. When someone lands on your website, will that be clear to them? Where possible and appropriate, clean up your website to focus on your strengths and direct your readers to your best content. Polish your writer’s voice. Even if you aren’t a blogger you are still writing content on social media. Let your audience feedback help you better understand your writer’s voice. Look for the theme words they use to describe you and sink into these qualities.